Sue Dyson and Roger McShane. First published in Wine Talk, January 2018. 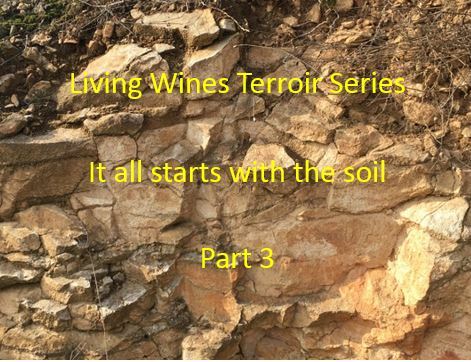 In the two previous articles under this title we examined the different rock types that are found in vineyards and then looked at how soils are created from those rocks by actions including physical weathering, chemical weathering and biological weathering. In this article we are going to look at the living creatures that inhabit the soils in vineyards and that work incessantly to improve the nature of the soil and to ensure that vines can absorb the vital elements that are present in the soil. We have written before about the relationship between the soil and the uptake of minerals or mineral salts into vines. We have stressed that plants such as grapevines need sixteen elements to thrive and only three of these (carbon, oxygen and hydrogen) can be absorbed through the leaves of the plant. All others including the vital nitrogen as well as phosphorous, potassium, calcium, magnesium and others must all find their way into the plant through the roots if the plant is to maintain its health. But the problem is that vine roots can’t absorb these elements (or compounds formed from these elements) without lots of help – and this help comes from living creatures carrying out vital work making the soil healthy and getting the elements into a form that can be beneficial for the plants. To us, this is one of the aspects of terroir that so little is written about. Terroir is often reduced to a discussion of rock/soil types and climatic conditions affecting the vineyard. But it is the silent work carried out below ground by a range of living creatures such as beneficial bacteria, earthworms and, most importantly, mycorrhizal fungi with their flamboyant hydra that form webs of tiny tendrils throughout the soil seeking out beneficial elements for the vines that need to be part of the story. When we say that this life within the soil is an aspect of terroir that should be given more prominence it is because different vineyards have different concentrations of specific bacteria that carry out specific work in the soil. The concentrations of mycorrhizal fungi in the soil also varies. And, very importantly, many recent studies have shown that varieties of yeast can vary from one end of a valley to another and from one vineyard to the next. Different varieties of yeast produce different polyphenols which in turn play a part in providing flavour and structure to the wine. Therefore, if wine fermentation relies on the indigenous yeasts rather than commercial yeasts, the wine will be a truer reflection of what is happening in the vineyard and hence should be included in the factors affecting the terroir of the vineyard. And, of course, there are other living creatures above the soil that play a vital role including ladybirds, wasps, drosophila, birds, bees and other creatures that all help keep a healthy microcosm. We will now look at just three of the creatures that inhabit the soil in vineyards to show the beneficial effect they have. Worms are found in great abundance in the vineyards we visit, all places where the viticulture is organic or biodynamic meaning that no chemical, systemic sprays are used. Why are worms important? First their burrowing through the soil creates small holes that can be used by tiny roots to provide easy access to lower levels of the soil. Secondly, the earth is aerated by the worms’ actions forming worm casts that have many air pockets thus making it easier for the roots to penetrate the soil and for water to drain through the soil. These worm casts also hold more water than normal soil. Thirdly worms break down organic matter such as leaves and grass transforming them into nutrients such as nitrogen and phosphorus that are able to be absorbed by the plants. Above all, worms increase the productivity of the soil dramatically. When worms were introduced into a worm-free pasture in Tasmania, there was an immediate 75% increase in pasture productivity. This was confirmed by research carried out by van Groenigen and others who surveyed the literature in a paper entitled “Earthworms increase plant production: a meta-analysis”. Of course, many vineyards do not receive the benefits of a vibrant worm community due to two factors. The application of phosphate-based fertilisers has a catastrophic effect on worm populations due to the acidic environment they create. Secondly, chemical sprays such as herbicides and pesticides also wreak havoc on worm populations. A paper by Gaupp-Berghausen in a journal in the same stable as the prestigious Nature magazine showed that glyphosate-based herbicides also reduced the populations of earthworms in soils sprayed with glyphosates by reducing their capacity to breed. Even more worrying, a paper by Zaller et al (2014) showed that glyphosate usage reduced the interactions between earthworms and symbiotic mycorrhizal fungi in the soil. We have even read in the scientific literature about the efforts of earthworms to avoid soil that has been sprayed with glyphosate. Bacteria are everywhere, in our bodies, on our bodies, in the air, in our wine and definitely in the soil. Bacteria are the smallest living creatures but their contribution to our health (in fact, our very ability to live) is profound. And it is the same for soil. The tireless work carried out by bacteria is not only essential for creating soil, it is also vital for maintaining the life of the soil and the plants that grow in it. 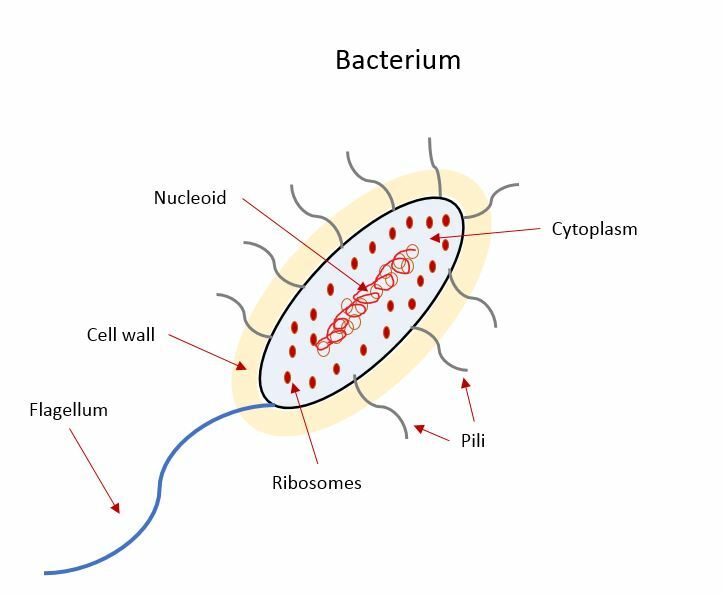 Bacteria are very tiny cellular creatures that have a complex cell wall structure enclosing a cytoplasm with genetic material contained in the nucleoid. They are able to move around using a long (compared to the length of the bacterium) tail called a flagellum and small hair-like structures called pili. What is the contribution that bacteria make to the soil and the plants? Much of it is to do with making elements such as nitrogen, iron, phosphorous, magnesium, manganese and other essential elements available for absorption by the plants. Just like worms, they are good “decomposers” of plant litter in the soil. They break it down and turn it into a form that is useful for the living plants. Some bacteria are particularly good at “fixing” nitrogen in plant roots in a form that they can absorb. This is important as nitrogen is required by most plants to grow and flourish. However, most plants cannot absorb nitrogen in the gaseous form that exists in the atmosphere, therefore they must source it from the soil. And some forms of bacteria such as Rhizobiaceae can convert nitrogen (N2) which plants can’t absorb into NH3 which they can. In some legumes, for example, the bacteria absorb nitrogen from the soil and then burrow into the roots where they eventually die and release the nitrogen. Unfortunately, many studies have shown that repeated applications of pesticides, herbicides, fungicides and bactericides (sprays designed to kill bacteria) weaken the bacteria populations in the soil thus depriving plants of one of their main helpers in growing and being healthy. The final soil agent we will discuss is one of the most fascinating and that is the role of fungi in the soil. Fungi are tiny creatures that are found in the soil. They are generally a bit larger than bacteria and vary in their makeup from bacteria. 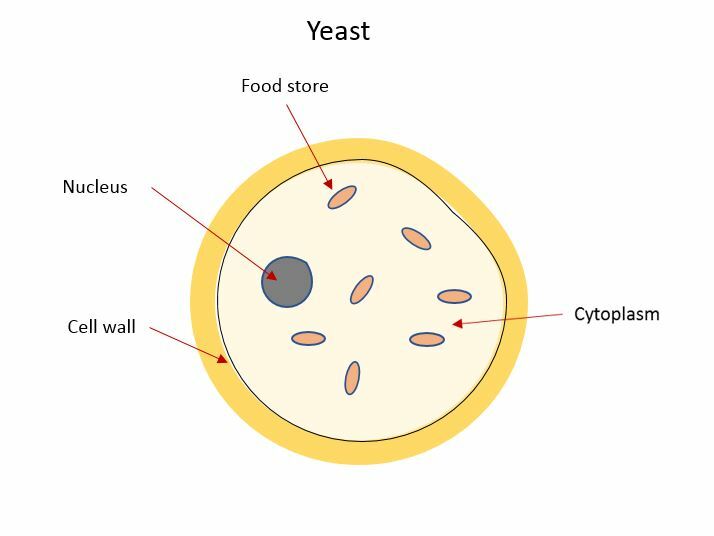 We have shown a simple structure for a yeast cell above and this is one of the simplest fungi that are found in the soil and on the grapes in a vineyard. And we have written before about the contribution that native yeasts play in the production of wines. But there are other fungi in the soil and the most important type is the amazing mycorrhizal fungi. These important creatures form a symbiotic relationship with plants that grow in the soil and are particularly friendly towards grape vines. Mycorrhizal fungi start out as normal fungi just like yeast. But as they mature (and in the right conditions) they send out long tendrils called hyphae that are capable of sending chemical signals and chemical substances to plants that they intersect with. They are able to burrow into the roots of grapevines and pull in nutrients from the soil into the roots to assist with transmission through the roots and into the leaves and fruits. These nutrients eventually contribute to the flavour of the wine made from the grapes that absorb them. In response, the grapevines pass sugars that they have created in order to sustain the fungi. It is truly a symbiotic relationship. We have talked about these fungi because they are vital in sustaining the health of the vines. However, they have many enemies above the ground. Not only do they suffer from the widespread use of sprays that we have already discussed but they are decimated by the addition of phosphate based fertilisers. In this article we have made some claims about systemic sprays and their effect on the soil and the plants that grow in them. We stand by our claims. Therefore, we are going to produce one more article in this series which won’t add anything new, however will provide some of the scientific evidence for why we are so passionate about removing all systemic sprays from vineyards. van Groenigen, J. W. et al. (2014) Earthworms increase plant production: a meta-analysis. Sci. Rep. 4, 6365, 10. Most bacteria are approximately 1 micrometre (μm) long although some might be up to 10 micrometres long. A micrometre is 10-6 metres or .000001 metres. Consider that the average width of a human hair is 100 μm then bacteria are 100 times smaller.